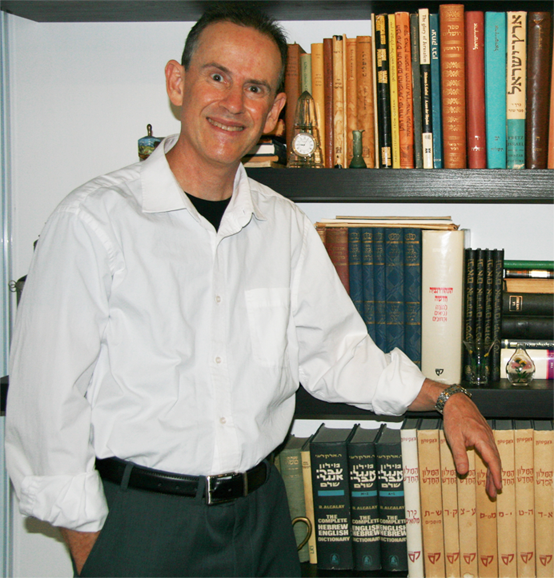 I am a USA Board Certified Chiropractor and a member of the Israel Chiropractic Society. I have been involved in the holistic health profession for more than 30 years. In that time, I have treated thousands of people of all ages and helped them not only get out of pain but also improve the overall quality of their lives. I received my Bachelor of Science degree in Nutrition from California State University, Long Beach, and worked as a nutritionist for several years with one of the most successful weight loss companies in the United States. I sought the help of a chiropractor in 1989 for severe back pain – I was so impressed with the results, I applied to chiropractic school a few months later. I graduated with honors from the Los Angeles College of Chiropractic in April of 1993, and owned and operated clinics in California and Colorado for 17 years. 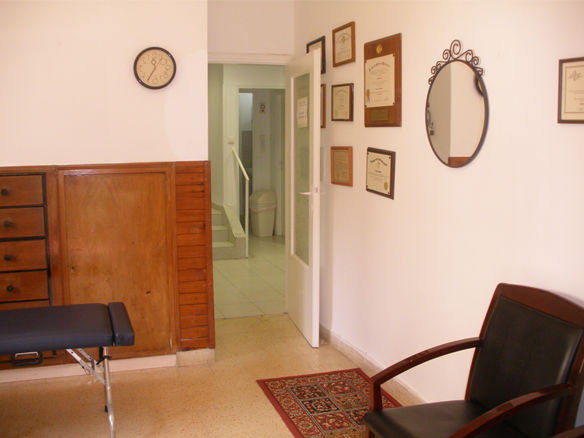 I moved to Israel in 2009 with my wife and three children, and since then I have operating a private practice and also serve as the chiropractor for the Haifa branch of Macabbi Tivi (part of Israel’s national health system). I practice the gentle and non-invasive methods of chiropractic Network Spinal Analysis (NSA) and Koren Specific Technique (KST) and implement the more “traditional” system of spinal manipulation only on people who request it and in certain circumstances. See treatments. 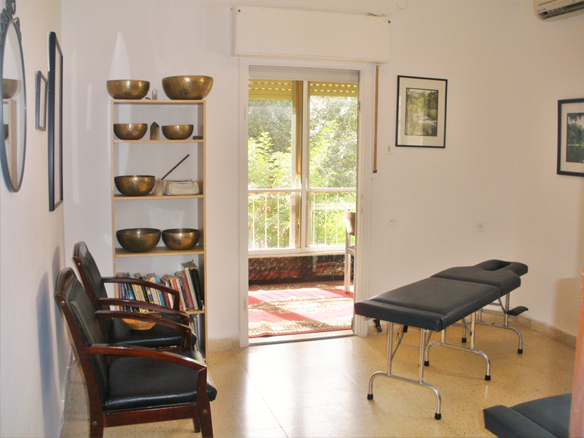 I also incorporate Cold Laser Therapy and Sound Healing Therapies (Quartz Crystal and Tibetan Metal Healing Bowls) into my practice. My CD, Crystal Bowls of Tibet: Sounds for Mind, Body, and Spirit (2001) has been used by people worldwide for healing trauma and to achieve a deep state of meditation. My primary goal is to help people of all ages enjoy the best quality of life possible by providing life-altering health care in a healing, fun and relaxing environment. We are located at 54B (ב‎54) Hanassi Avenue. You cannot see a number but the entrance to the path leading to the office is next to the blue recycling bin and across the street from the Car2Go parking spaces. You will see my gold sign there. The office is down the path in the third building on the right, 2nd floor (there are 15 stairs).